Congestion is a general term which refers to a feeling of stuffiness in the nasal or breathing passageways. Nasal congestion, stuffiness, or a runny nose is generally caused by increased blood volume to the vessels that line the passages inside the nose. Sinus congestion refers to a feeling of fullness in the sinuses. These conditions can occur together or separately. Both may correlate with excess mucus or phlegm. Nasal congestion, or a runny nose, is annoying but common. Causes of nasal congestion include infections usually caused by viruses and allergies to grass, pet dander, foods or other substances. It can be treated with medications called decongestants such as pseudoephedrine or antihistamines like diphenhydramine (depending on the cause). The common cold virus RSV can cause severe congestion and pneumonia in small children. While many small children are hospitalized with RSV each year, in adults RSV usually causes regular cold symptoms that go away in a week or two. Sinus congestion (also sometimes called sinusitis results in a feeling of fullness in the face especially around the eyes, cheeks and forehead. It can cause severe headaches. It is often associated with a cold virus or occasionally a bacterial infection as well as allergies. It sometimes causes post-nasal drip. Some cases can go on for weeks but most cases resolve on their own. More rarely an antibiotic needs to be prescribed. Relief of symptoms of sinus congestion also include decongestants and antihistamines but can also include over-the-counter pain relievers such as Tylenol or Ibuprofen. Both nasal and sinus congestion are most often caused by viral infections, however, there are other causes that may need to be evaluated. 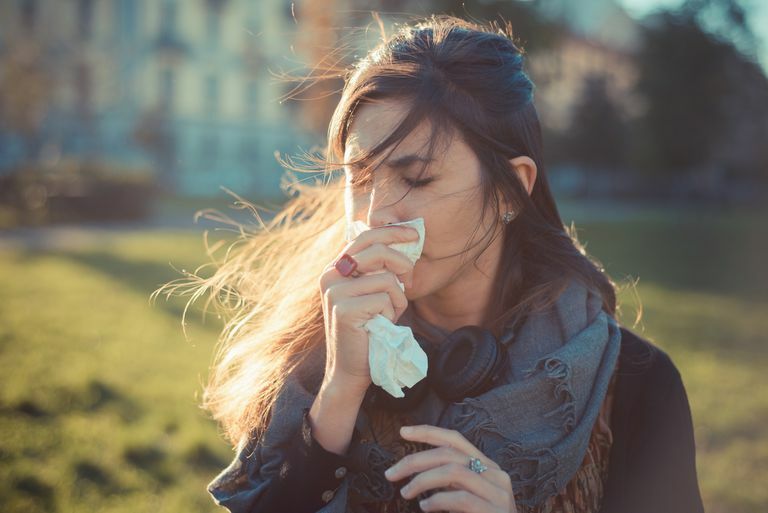 Other less common causes of a runny nose and congestion include pregnancy, other conditions that cause a change in hormone levels, vasomotor rhinitis, nasal polyps or deviated septum. Medline Plus. Stuffy or runny nose - adult. University of Maryland Medical Center. Nasal Congestion - Overview. University of Michigan Health System. Sinus Congestion.